Benefit Majorette Cream to powder blush £23.50 - They only have one shade in this product but it is stunning! A gorgeous coral/peach perfect for spring to add a beautiful flush of colour to your cheeks, you can use this alone as a blusher or as a base to keep your other blush on top to last for longer. I also adore the smell of this product and the packaging, it's so pretty it just looks great in your make up collection or sitting on the side of your dressing table. Bourjois Cream blush in 02 £7.99 - Another cream to powder blush in a similar shade for a fraction of the price, it lasts for a long while on the skin with out needing to re-apply through out the day, comes in a cute dinky pot so won't take up too much room in your make up bag and a handy little mirror if your doing your make up on the go. 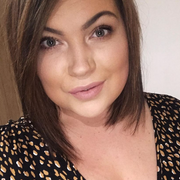 Topshop Cream blush in Head over heels £7.00 - This is the one I wear the most out of my top five, such a gorgeous coral shade that goes with any make up looks I am doing. It goes on effortlessly and stays put for hours, I love the cute polka dot packaging and really need to pick up some more shades! Stilla Convertible dual lip and cheek cream in Peach blossom £16.00 - This is another one I have ordered most of the month already and last month, I never ever thought I would like a duo product, they just never seem to fit the other offer they claim to on most products but Stilla have got it to a T on this product! It truly is amazing for both your cheeks and lips, the prettiest lip shade I have found yet looks amazing as a blusher too, I apply this to both on some days and it looks fantastic, you really need to try this product out if you haven't already they have got some great shades for all different choices and the packaging is gorgeous too. Revlon Photoready Cream blush in Coral reef £7.99 - Are you seeing a theme here? 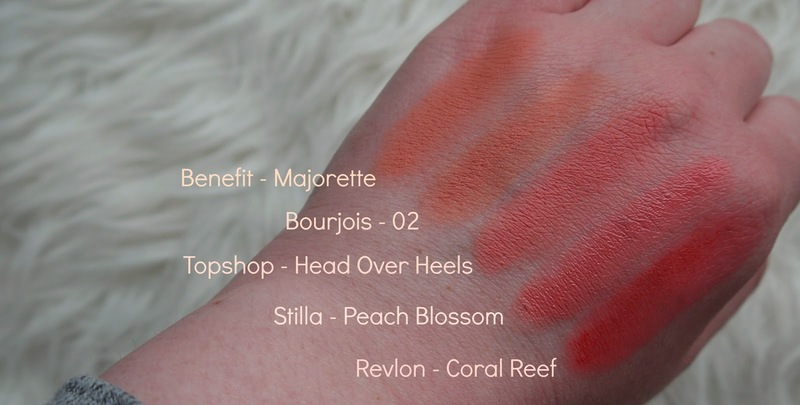 I love me some coral cheeks in spring! 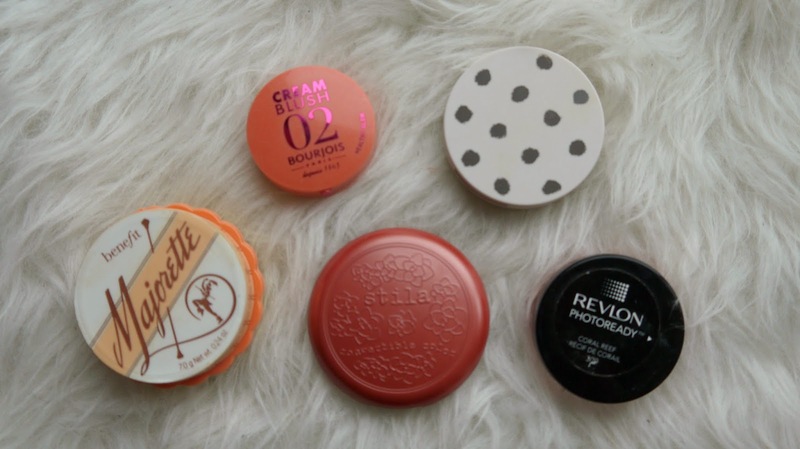 I just think they work really well with my pale complexion and don't clash with any of my make up looks, it also looks super gorgeous next to your bronzer I think. This is one of the first cream blushers I bought and made me fall in love with the creamy texture, I rarely ever wear powder blushers now thanks to this one for swaying me to the cream side! They are affordable and last a few hours but don't have a great range of shades that is there only downfall but every thing else about the product is great.